As such, he sees self-adhesive materials and labels playing a crucial role in the pharmaceutical industry. 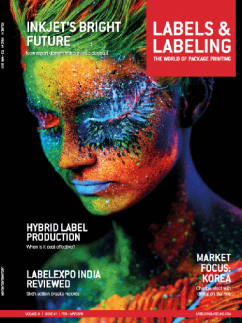 However, Steve Wood, president and CEO of Covectra, notes ‘a real need for a more secure label than currently exists’. Counterfeiters, he says, are able to replicate a label with a barcode that is legitimate and GS1 compliant, and to replicate the same legitimate barcode many times over, with detection in the supply chain taking a long time. An evolving regulatory landscape continues to be a big talking point for the industry. In a recently published white paper, Avery Dennison states that all manufacturers of pharmaceutical packaging have to meet the challenges posed by new regulations and stronger packaging guidelines. A recent survey on the state of label management in the pharmaceutical industry, undertaken by NiceLabel, reveals that 80 percent of respondents list compliance as the number one driver when selecting a label management software. The Falsified Medicines Directive (FMD) comes into force in Europe in 2018, while in the US, enforcement of the Drug Supply Chain Security Act (DSCSA) has been delayed by a year. Dave Harty, head of professional services in the Americas at Adents, sees postponing enforcement, rather than delaying the official compliance deadline, as a ‘deliberate and very clear signal’ from the FDA that the law remains in place and is not going to go away or suffer multiple further delays. In addition to compliance with DSCSA, there is also the FDA’s Title 21 of the Code of Federal Regulations (CFR) Part 11, which provides guidance for electronic records and eSignatures to streamline workflows. Herma 63Mps is a special adhesive for pharmaceutical applications based on the company’s multi-layer technology, and with a strong initial tack coupled with migration levels, even through thin PE films, below the limit of determination. This is identified as highly relevant for the pharmaceutical industry with HDPE and LDPE plastics increasingly used to replace glass containers. HermasuperPerm (63S) is a one-layer adhesive with final adhesion said to be so high that sealing labels equipped with the adhesive cannot be removed from lacquered pharmaceutical packaging, as well as many other polar and non-polar surfaces, without destruction of the label or the packaging surface. Avery Dennison has developed several pharmaceutical labeling adhesives that follow and adhere to the various guidelines mentioned above, and their associated regulations, including S2000NP, S692NP and S717P (plastic immediate packaging materials), S692NP and S717P (medical devices), and AL171, C2020P and S2060NP (blood bag labeling). UPM Raflatac’s latest development sees the introduction of RPMD (Raflatac permanent medical device) adhesive range to further expanded its range of guaranteed, globally available, and compliant pharmaceutical and healthcare label materials for the medical device and healthcare industries. Combining selected paper and film face materials with an RPMD adhesive ensures adhesion with a tight mandrel hold on glass and plastic, as well as sterilization resistance and migration safety. StellaGuard from Covectra and Schreiner MediPharm’s Flexi-Cap for Clinical Trial Supplies (CTS) evidence yet more areas where innovation is taking place. StellaGuard is a security label featuring a random pattern of holographic symbols embedded in the proprietary label film when it is manufactured. Flexi-Cap for CTS has been developed for the specific requirements in clinical trials, such as a reliable blinding and first-opening protection. Software also plays an important role in ensuring production of accurate, compliant labels. 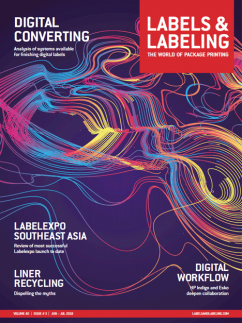 The NiceLabel survey shows the importance of a single, centralized platform for label design, change control, printing, integration and management. Document control, integrating label management systems with ERP/MES and other systems, web printing, and scalability are identified as the most common challenges in an increasingly complex and fragmented production environment that often involves managing multiple products, locations and markets. 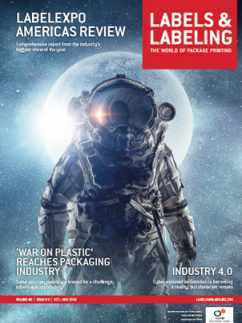 Another survey, conducted by Loftware, found that 47 percent of 200 manufacturing professionals, including many from the pharmaceutical industry, indicated they were experiencing costly downtime due to labeling disruptions. The reasons cited for these delays included dealing with customer-specific labels, product-specific labels and slow label printing speeds. ‘When you add up all of these isolated labeling issues occurring across different segments of your supply chain, you’re looking at hundreds of thousands of dollars of lost productivity, severely impacting your bottom line,’ says Johnson. ‘An automated process allows companies to achieve significant printing performance gains, allowing labeling to keep up with production. Antares Vision, a provider of serialization-based track and trace options for the pharmaceutical industry, launched Quick Compliance Program, claimed to enable serialization compliance within 10 weeks from the project start. The program is based on preconfigured modules in concert with a standardized package of software, documentation and services. As well as a Reel 2 Reel module, an off-line labeling printing station to produce reels of serialized labels suitable for bottle labeling, the program runs Antares’ GTS Plant Manager software, which generates or imports serialization numbers and stores all data while interfacing with Level 4 repositories. 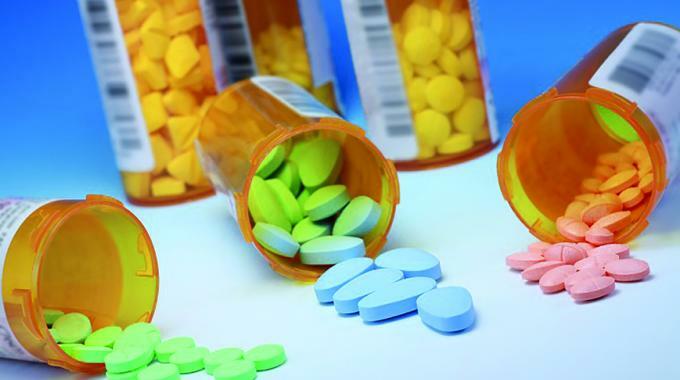 Continues Johnson, ‘Labeling is complex; today’s pharmaceutical organizations are faced with a range of evolving requirements that complicate the process, and leave many companies accepting outside changes and regulatory updates to the process as a cost of doing business. Investments in technology support R&D and new product development going on in the supply chain. Herma is investing heavily at its headquarters in Filderstadt, Germany, including an all-new coating plant that will be used to produce self-adhesive materials and prepare them according to customer requests. 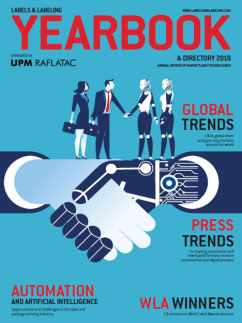 Also in Germany, August Faller has invested in digital printing to meet growing demand for shorter runs and delivery times in the pharmaceutical market (see boxout). Spain’s Etiquetas Adhegraf, where 80 percent of production is dedicated to pharmaceutical products, has commissioned a Screen Truepress Jet L350UV digital label press for its repeatable print quality and precise accuracy. 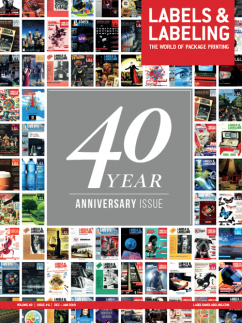 US printer Dion Label has invested in new digital and servo-driven flexo presses, as well as color management systems, hardware and document control software to ensure precise color standards are met and procedures followed. ‘For Dion, it’s about investing in the right equipment along with the best team to ensure we are providing the highest quality products for our customers while maintaining compliance,’ says a spokesperson for the printer. ‘We are looking forward to new challenges, which will come from the pharmaceutical market’s dynamic development regarding labeling, as many new legal requirements are being added throughout the world,’ concludes Nägele.